Awarded the title of Avocat Honoraire by his peers, Yves TOURNOIS particularly focuses on in-house training and monitoring professional ethics. 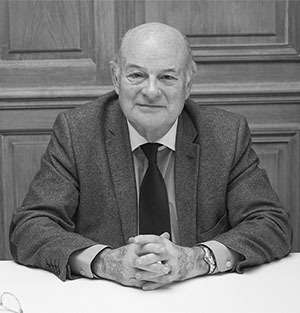 He is a Former Member of the Governing Body of the Paris Bar, Honorary President of the Union Nationale des Caisses de Règlements Pécuniaires des Avocats (Lawyer Payments Body). Admitted to the Paris Bar in December 1966, Yves Tournois is the holder of a post-graduate degree (DES) in Economics from Paris I University. Before taking part in the creation of the law firm, he was a partner of RONSSERAY, TOURNOIS & Associés, specialised in business law, art market and performing arts law and financial criminal law. His experience combines advisory, legal strategy and arbitration; tradition and Art creation, Performing Arts and Industrial sectors.